You don’t speak German? No problem! I can speak, read and write English. Just send me an email and I’ll do my best to answer all your questions. 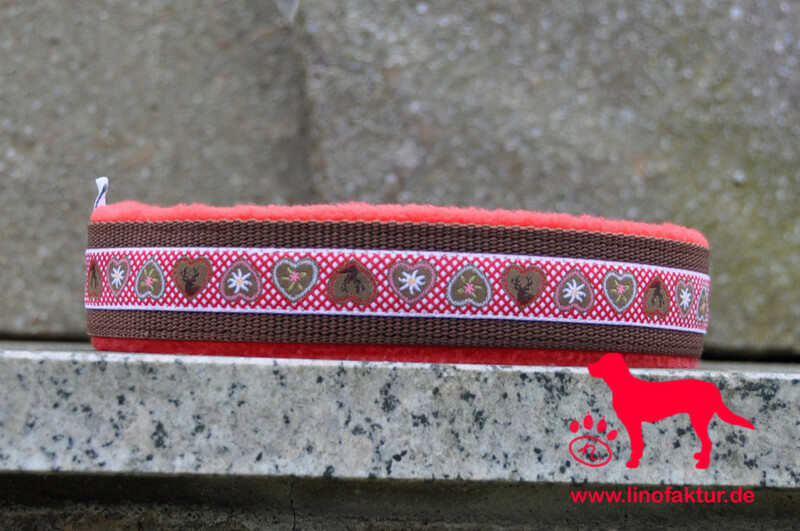 Besides the „standard“ collars with ribbons, belt strap and fleece lining, I offer embroidered collars. 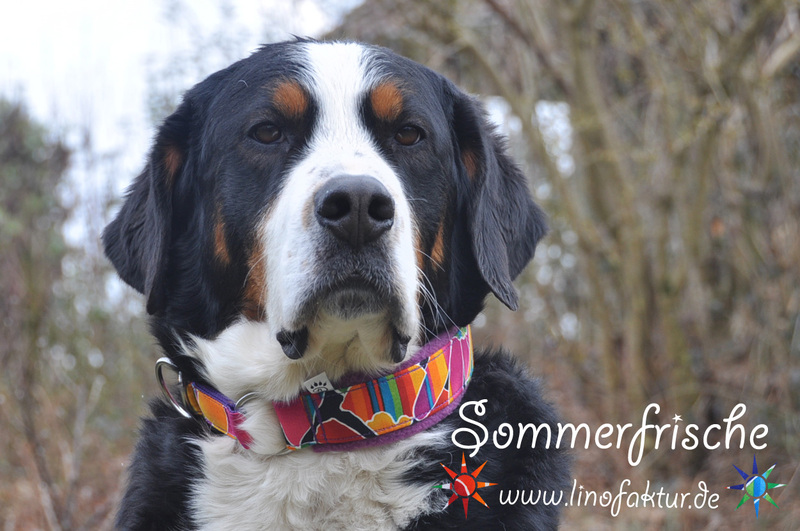 These include my own designs „Alpina“ (with mountains and flowers), „Schweizer Inspiration“ (with cows and edelweiss) as well as collars embroidered with a portrait and name. If you like the Oktoberfest and traditional costumes that go with it, you might like to check out the new „Trachtenhalsband“-designs. 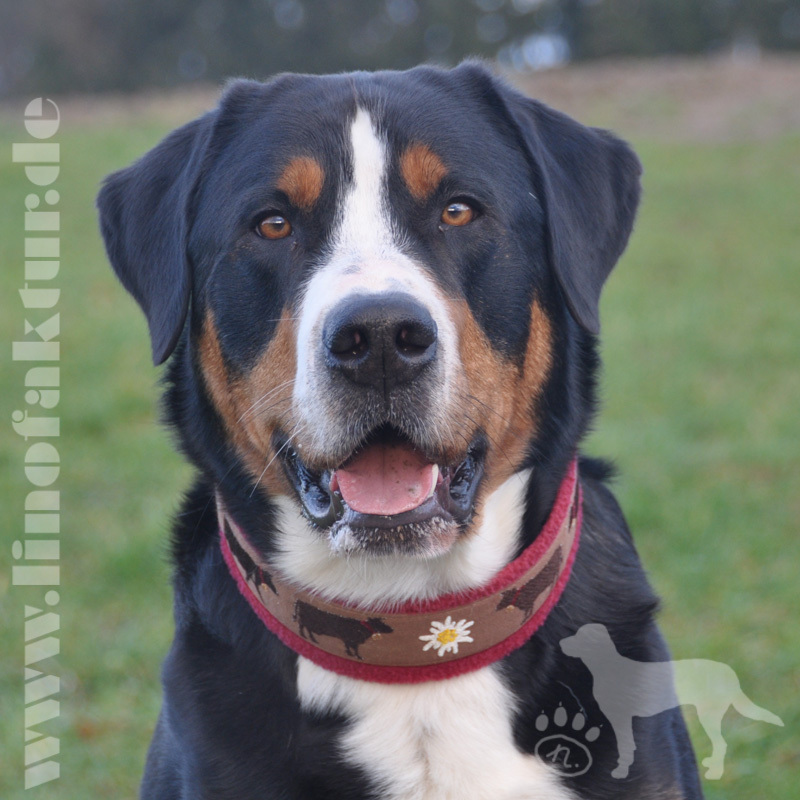 Having two Swiss Mountain Dogs myself, most my collars are designed to suit medium-sized and big dogs. Shipping within Europe is no problem, I can check the postage prices for you. Please note that all orders must be paid in advance (bank transfer in €URO only). Vous ne parlez pas allemand? Ce n’est aucun problème, ecrivez-moi en français. Je vais faire de mon mieux pour repondre à toutes vos questions. A part des colliers „standard“ avec des rubains je suis fière de pouvoir vous présenter des colliers avec broderie. Parmi les dessins vous trouverez „Alpina“ (avec des montagnes et fleurs) et l'“Inspiration Suisse“ avec des vaches. Si vous aimez les costumes traditionnels et l’Oktoberfest allez voir les dessins „Trachtenhalsband“.